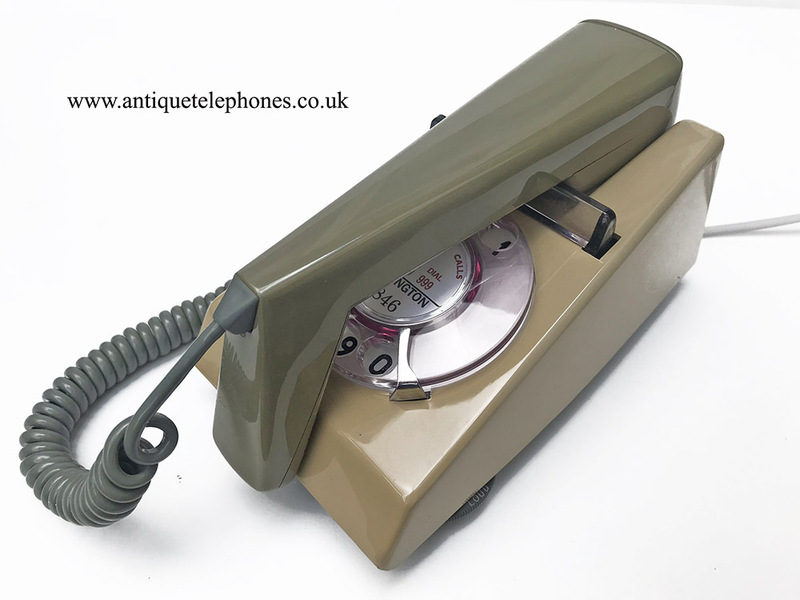 Genuine GPO Trimphone in two tone green. Fully restored and working. Fully restored and with my essential electronic microphone fitted to bring the speech quality up to modern standards. A pulse to tone unit can be fitted at £40 click box on checkout. 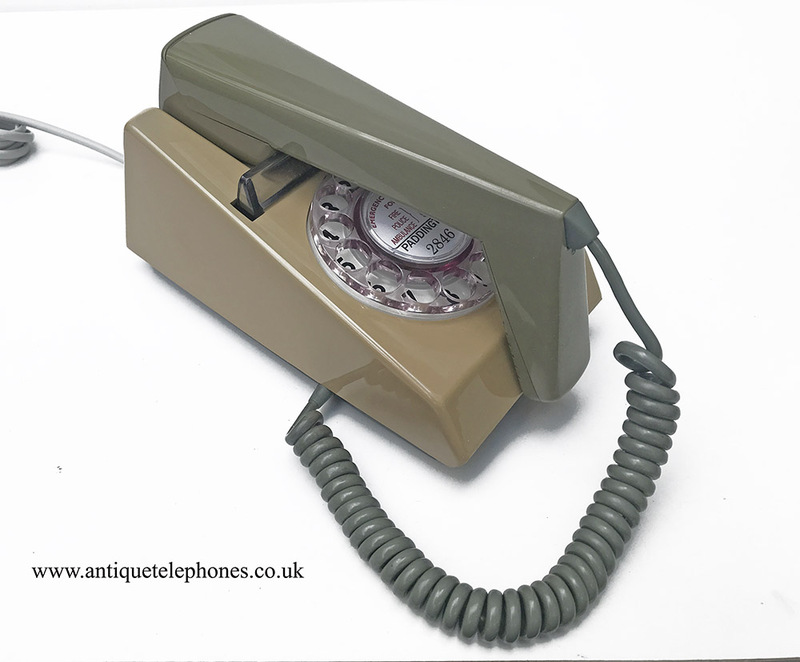 This is lovely example of a GPO dial Trimphone. It has been totally stripped down and re built after each part has been cleaned and polished. 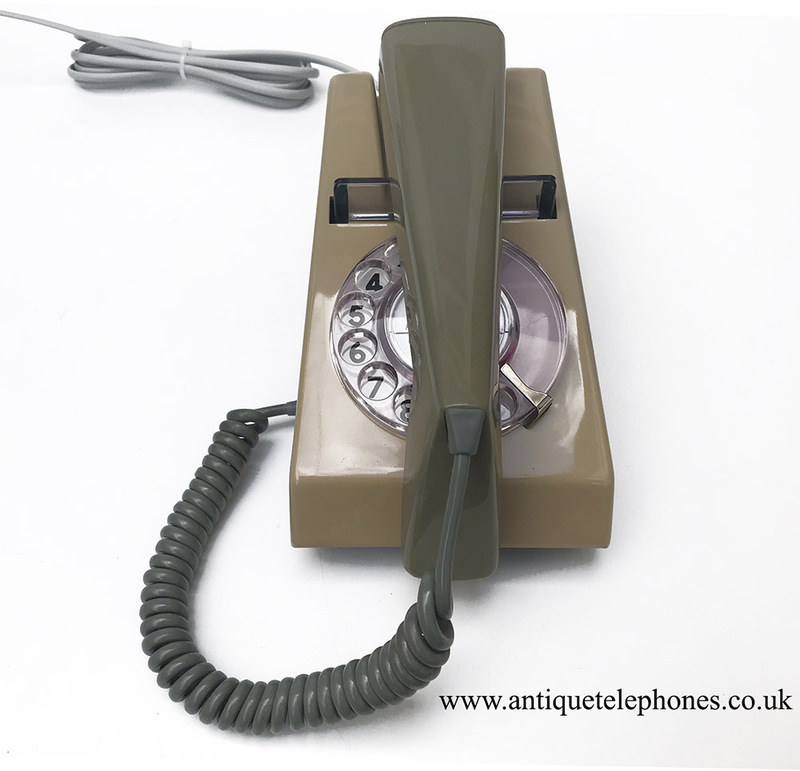 It has been fitted with an electronic microphone which is essential on a Trimphone as the small carbon granule mics were not very good at all and crackle and hiss. 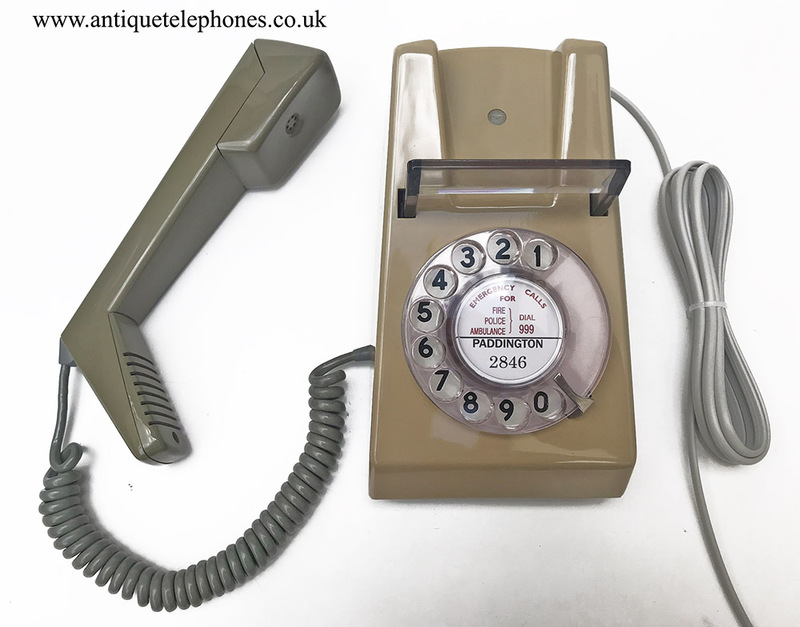 This has been set up on a special line simulator and then tested on our own BT land line to make sure it is working perfectly to both dial out and receive. It has a little sun discolouration but only slight as you can see. I can make a dial label with your information at no extra charge.